Which Countries Offer Working Holiday Visas for Canadians? Dreaming of traveling long term outside of Canada? If saving for a gap year seems daunting, working holiday visas for Canadians are a smart way to travel and earn at the same time. A working holiday visa allows young Canadians to work and travel in another country for a period of time, usually between 12-24 months. You will need to show proof of having enough support funds in your bank account so that you can take care of your primary expenses until you start earning money from your job. The following is a comprehensive list of all of the countries in the world that offer working holiday visas for Canadians. Many people don’t even know that there are so many options when it comes to working holiday visas for Canadians. You could spend your entire 20s working abroad and still not use all of these visas! Think about it. Your 20s are a time for travel, self discovery and freedom – a chance to see the world and craft your own identity. What better way to do this than by working abroad in another country? You’ll make great friends, build your skills, increase your confidence and make memories that you’ll never forget. Below are the 32 countries that young Canadians can work abroad in, as well as information about applying for your working holiday visa. Remember that when you are making your application, you will need to apply for each visa with the corresponding country’s government – so every application process will be a little bit different. If you are over the age limit of 30/35 for these Working Holiday Visas, click here for some other exciting travel opportunities for all ages. Once you have decided which country you want to travel to, you can read my Guide for Canadians Who Want to Travel the World for expert advice about how to save money, avoid travel scams, find affordable accommodation and more. 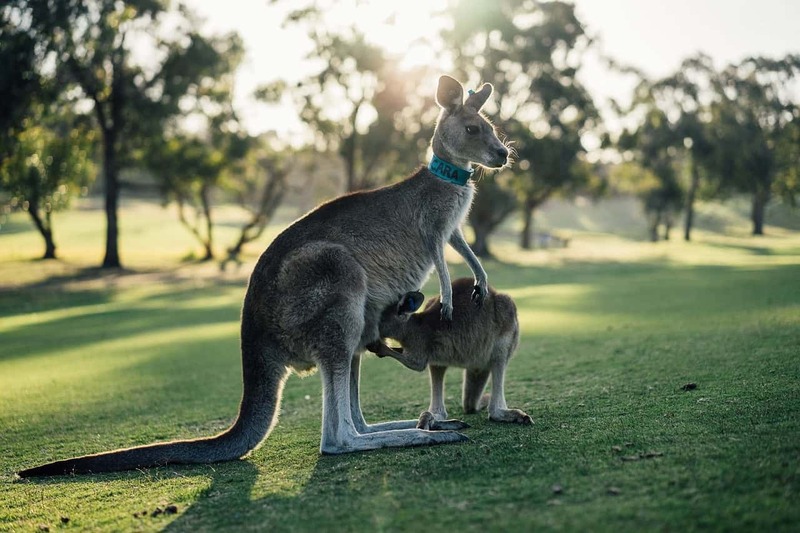 Canada and Australia have signed a mutual agreement that allows young Canadians between the ages of 18 and 35 to travel and work in Australia for up to 12 months. (The age limit used to be 30, but it was increased to 35 in 2018). This means that while your friends back home in Calgary are digging their way out of the driveway and picking icicles out of their eyelashes, you will be celebrating Christmas with a beach barbecue. Sounds pretty sweet, eh? 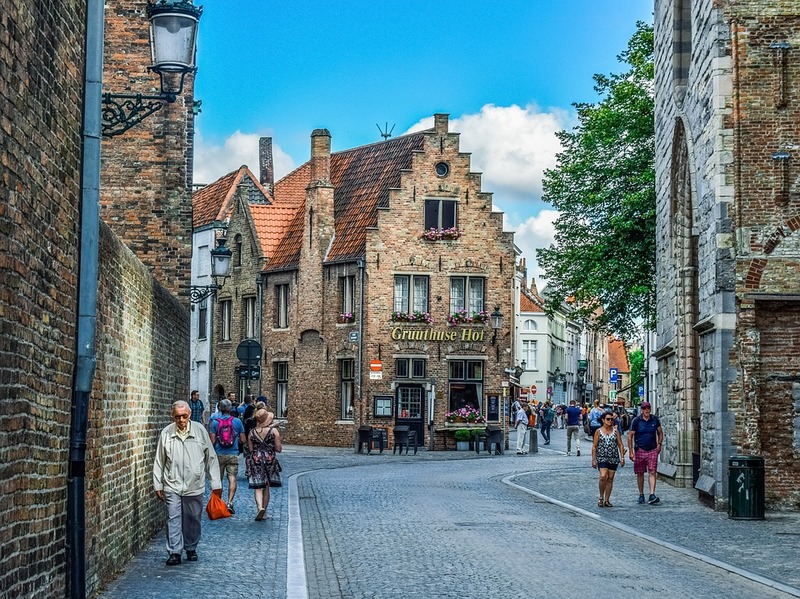 If the abundance of fantastic beer and chocolate wasn’t enough of a reason to work abroad in beautiful Belgium, what about the gorgeous architecture of the quiet medieval villages? Canada is a little short on the Medieval stuff, so get your history fix here. The age range for the visa is 18-30 and it’s valid for up to 12 months. The fee for the application is $350 Euros for the administrative fee and $320 CAD for the consular fee. You must show proof of $2,500 Euro in funds. Canada and Chile have a working holiday agreement, which allows Canadians between the age of 18-35 to travel and work in Chile for 12 months. The fee for this program is $135 USD and you must show proof that you have “sufficient funds.” The exact amount required is up to the discretion of the authorities. 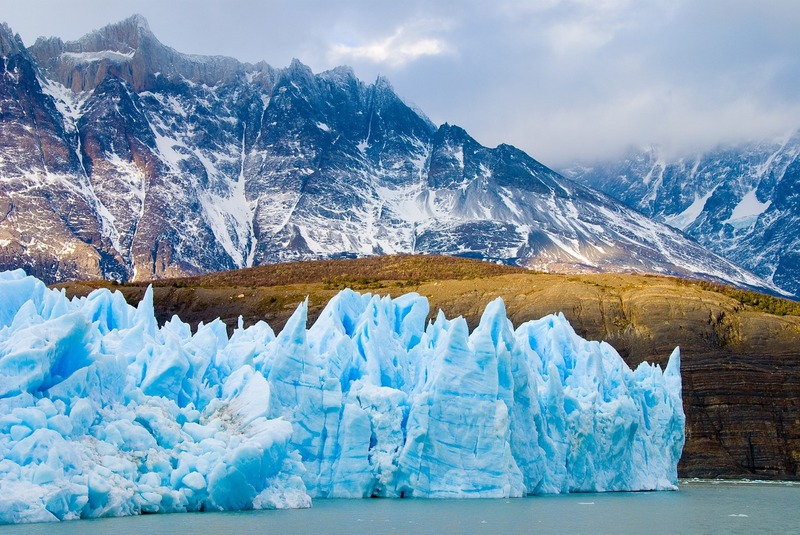 Stretching across the southern half of the west coast of South America, surrounded by the Andes and the Pacific Ocean, Chile is famous for its excellent wine, absolutely mind-blowing landscapes and an ecosystem that ranges from arid desert to glacial fields and everything in between. 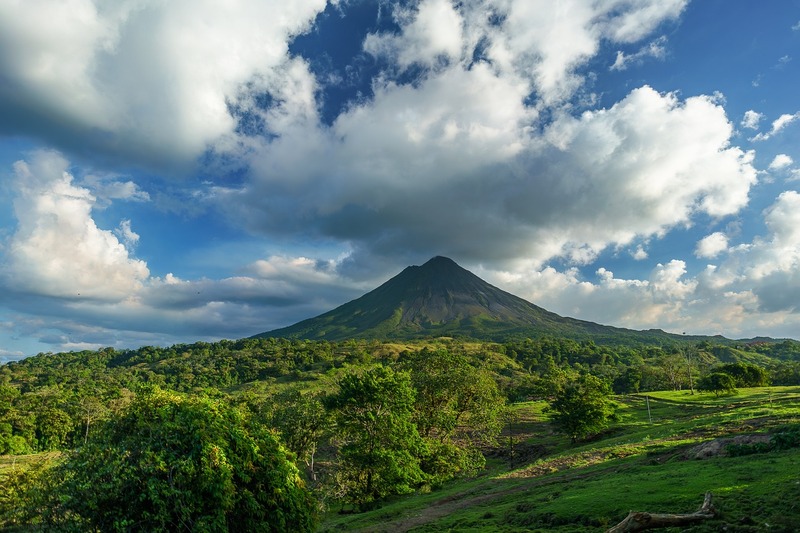 The Republic of Costa Rica is known for its lush flora and fauna – it contains only 0.03% of the landmass in the world yet is home to 5% of the planet’s biodiversity. In short, it’s a nature-lover’s paradise. Costa Rica and Canada have an agreement that allows Canadians between the ages of 18 and 35 to travel and work in Costa Rica for up to 12 months. The fee is $120 and you must provide proof that you have $2,500 CAD in your bank account to participate. 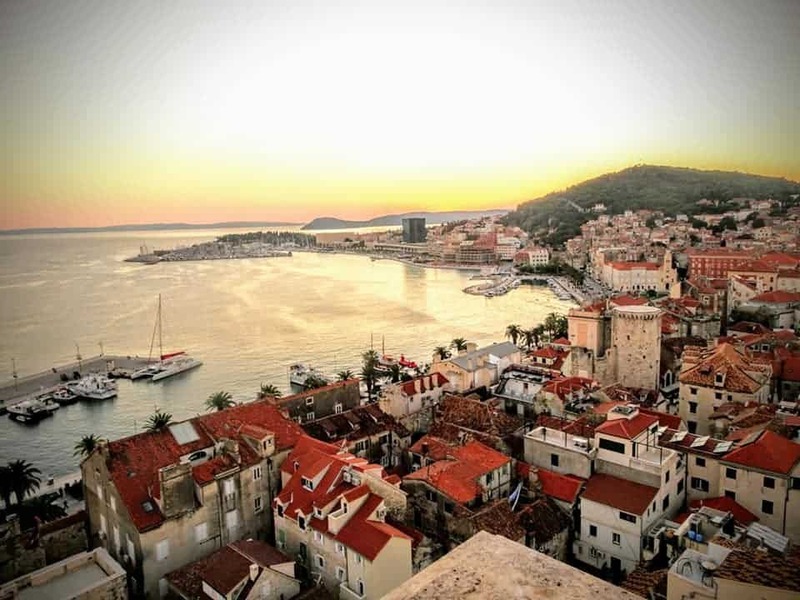 Beautiful Croatia is said to be like the “Mediterranean As it Once Was”, with elegant old fashioned seaside charm and friendly people. You could be swimming in the clear waters, walking through picturesque fishing villages or even going rafting in the rugged wilderness of the interior. Imagine spending the year living in an apartment in Prague, sipping coffee with your hip friends from all over the world, checking out art museum openings and dancing until the sun comes up. If you dream of living the modern bohemian lifestyle, you can obtain a working holiday visa for the Czech Republic. 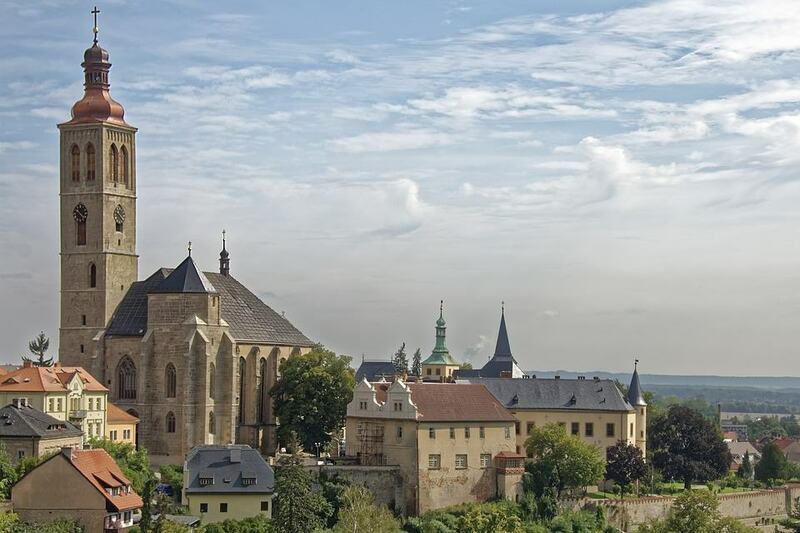 There are working holiday visas for Canadians aged 18-35 available for the Czech Republic. They will allow you to travel and work there for up to 12 months. The fee to participate is updated every month and the current fee can be seen here. (As of January 2019, it was $152 CAD) Also, you must supply proof that you have $2,500 CAD in your bank account at the beginning of your stay as well as an additional $1500 CAD to cover your flight home ($4,000 CAD in total). Working abroad in Denmark is a great opportunity to get to know this modern, stylish and cultured country. The economy of Denmark is booming at the moment and it has the highest GDP per capital of any country in the European Union. 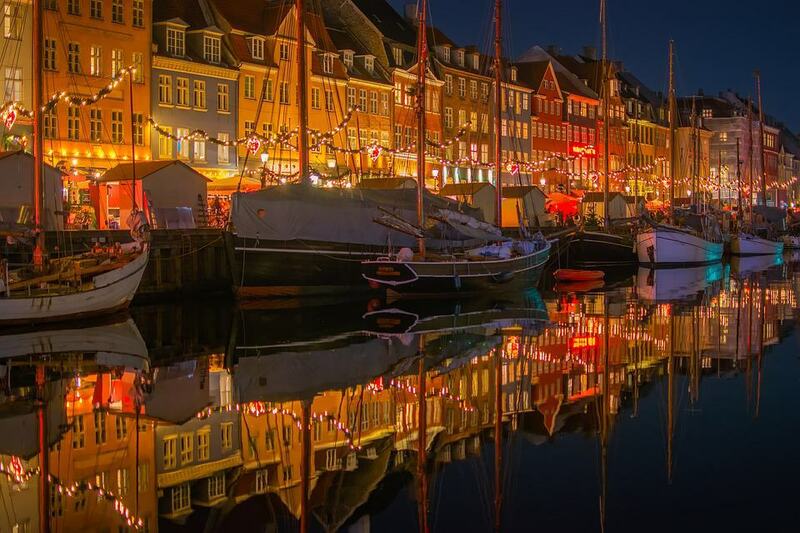 Copenhagen is an artistic, sophisticated city with fine architecture and excellent dining and outside of the capital you will find beautiful small villages with medieval churches and Renaissance castles. 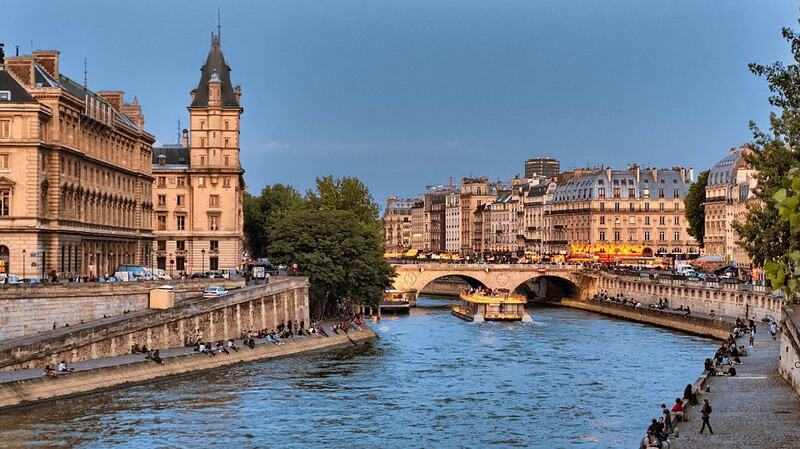 Statistically, it’s one of the happiest places in the world to live – and it’s easy to see why. 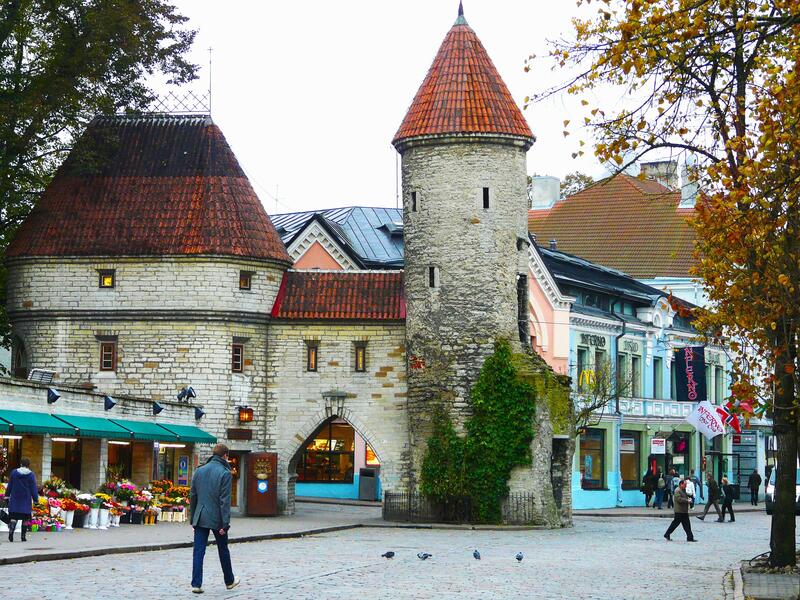 There are also working holiday visas for Canadians available for the European country of Estonia. This visa allows you to work and travel for 12 months, as long as you are between the ages of 18 and 35. The fee is 80 Euros to participate and you must show that you have $2,500 in your bank account. 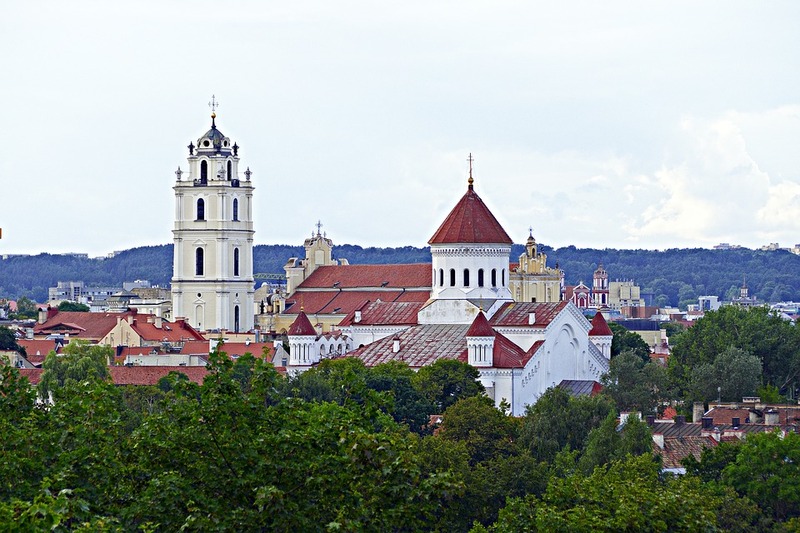 Be prepared for plenty of people to ask you, “You’re working abroad where?” Although this tiny Baltic country isn’t very well known, it is filled with beautiful castles, lovely country villages and 14th century architecture. Tallinn is quite a hip place these days and there are plenty of cool restaurants, cafes and nightclubs where you can hang out with your new Estonian friends. Chatting in chic Parisian coffee houses, lounging on beaches in the French Riviera or working on a picturesque Provence farm – France is the stuff of travel dreams. Of course, when you go you will realise that France is somewhat like our romanticised idea of it – and also nothing like it at all. Either way, you’ll have a great time. If you are between the ages of 18 and 35, you will be able to travel and work in France for 12 to 24 months. It is possible to prolong your stay to 36 months if you are studying. There is no fee to apply, but you must prove that you have $3,000 in your bank account to apply. Germany is such a cool country and a great place to travel. The cities are full of great culture and dining, the history – both modern and medieval – is interesting and multi-layered, the countryside is vast and green, the beer is superb and the trains are fast and comfortable. 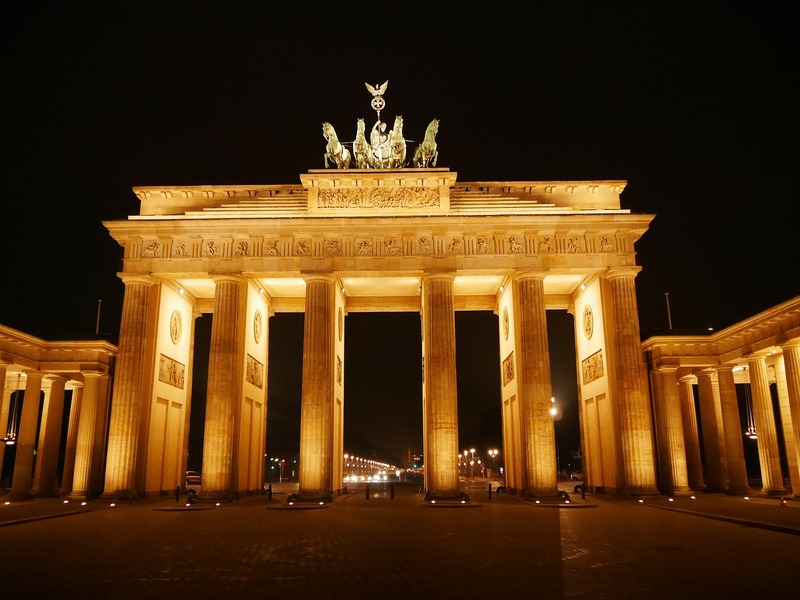 An experience working abroad in Germany will a great travel adventure and if you are between the ages of 18 and 35 you will be able to travel and work in Germany for up to 12 months. There is no fee to participate and there is no specific amount of money you must have in your bank account. You must simply sign a declaration form that states that you have enough money to cover your initial living expenses. Imagine spending a summer serving drinks at a nightclub on the beach on a sun-soaked Greek Island? Or perhaps you want to spend your time serving in a taverna, learning how to make the perfect spanakopita from a little old grandmother? 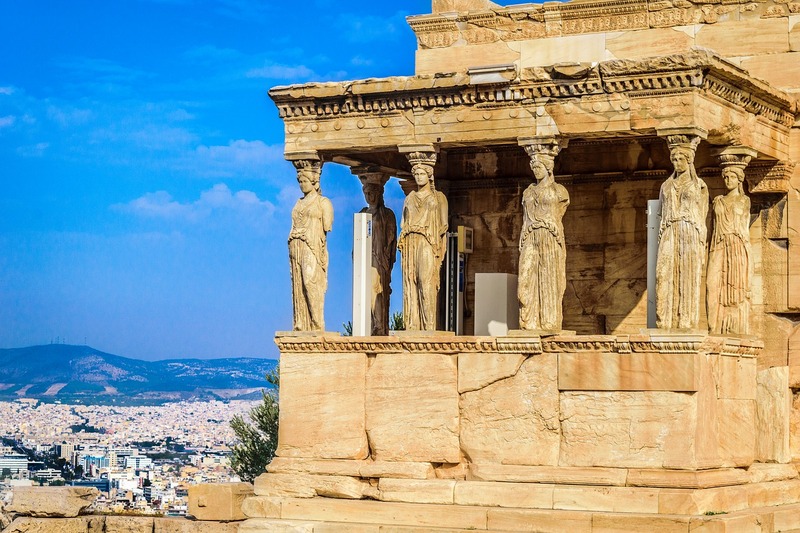 Or maybe you want to delve deep into Ancient Greece and work in a museum or as a tour guide? Whether you are in love with the food, the culture or the party scene, Greece will be a lot of fun. Greece and Canada have signed a bilateral agreement that permits Canadians between the ages of 18-35 to travel and work in Greece for up to 12 months. You can participate in this program twice! The fee to participate is 100 Euros and you must prove that you have 1,800 Euros in your bank account. 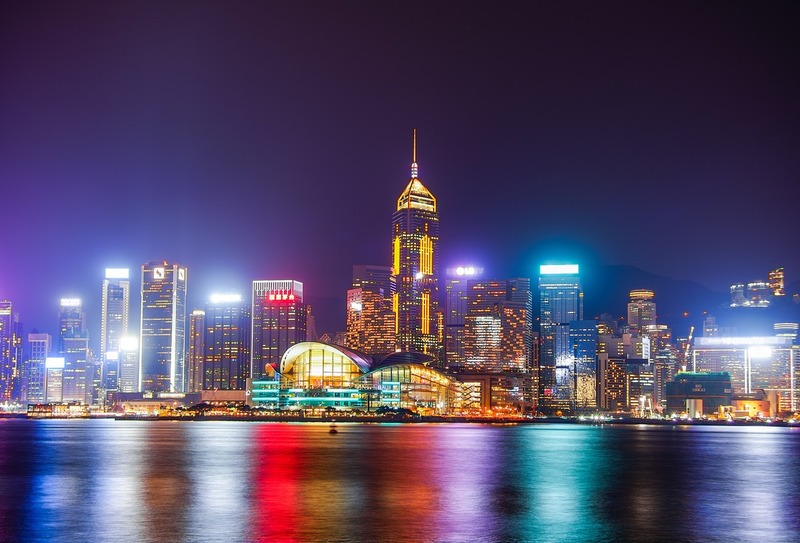 Hong Kong is an amazing bustling, glittering metropolis – it’s like the New York of Asia. Spending a while working abroad in Hong Kong, completely immersed in a completely different culture and enjoying some of the world class cuisine will be a fantastic experience. Also, Hong Kong is a great base for cheap flights to many different destinations in Asia. There is a bilateral agreement between Hong Kong and Canada that allows Canadians between the ages of 18 and 30 to travel and work in Hong Kong for up to 12 months. It costs $15 to apply and you must prove that you have 15,000 HK in your bank account. Ireland is known for rolling green hills, toe-tapping music and wonderfully warm and friendly people who know how to drink and have a good time. A Gap Year working abroad in Ireland might not be good for your liver, but it will certainly be good for your soul and you are guaranteed to make some lifelong friends here. Canadians are allowed to work and travel in Ireland for up to 12 months, between the ages of 18 and 35. It costs 300 Euro to participate in the program and you must show proof that you have $2,500 in your bank account. Also, within one month of arrival in Ireland you must register with the Garda National Immigration Bureau and pay a fee of 300 Euro. What about spending some time working abroad in Italy? Italy is rich with gorgeous art and architecture as well as mouth-watering food – both which are held in equally high regard in the culture. 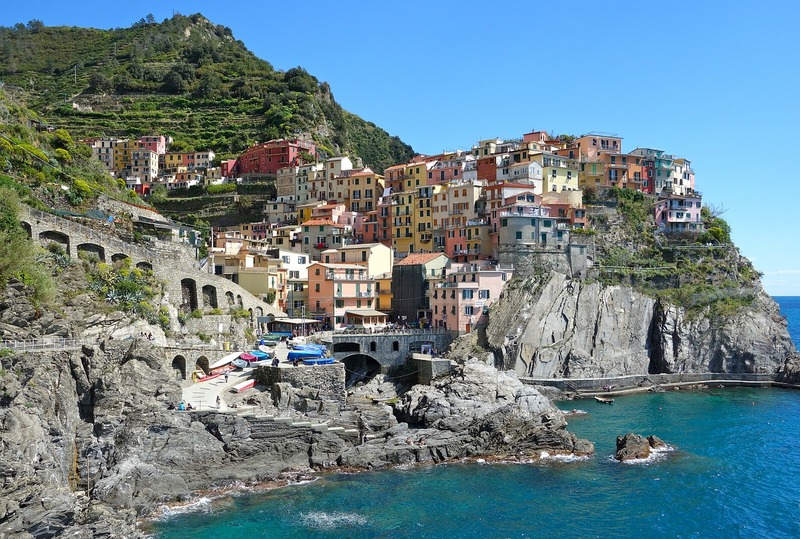 Canadians are permitted to travel and work in Italy for up to 6 months, as long as they are between the ages of 18 and 35. You must pay 100 Euro to participate and you will need to show that you have 2,400 Euro in your bank account. You must obtain the visa before leaving Canada, you can’t apply for it after you arrive in Italy. Oh Japan… land of ancient Samurai culture and modern manga weirdness, of traditional hot springs, “pod” hotels, octopus flavoured ice cream and so much more. It’s super-futuristic yet old fashioned in a way that will fascinate you every day you are there. Japan and Canada have signed a bilateral agreement that allows Canadians between the ages of 18 and 30 to travel and work in Japan for up to 12 months. There is no fee to participate and you must show that you have $2,500 US in your bank account prior to your departure. Living abroad in South Korea will be a truly memorable experience, whether you are exploring the busy urban chaos of Seoul or the peaceful countryside and beautiful mountain ranges. Of course, there is also the wonderful pleasure of Korean food, including kimchi, bulgogi, and much more. 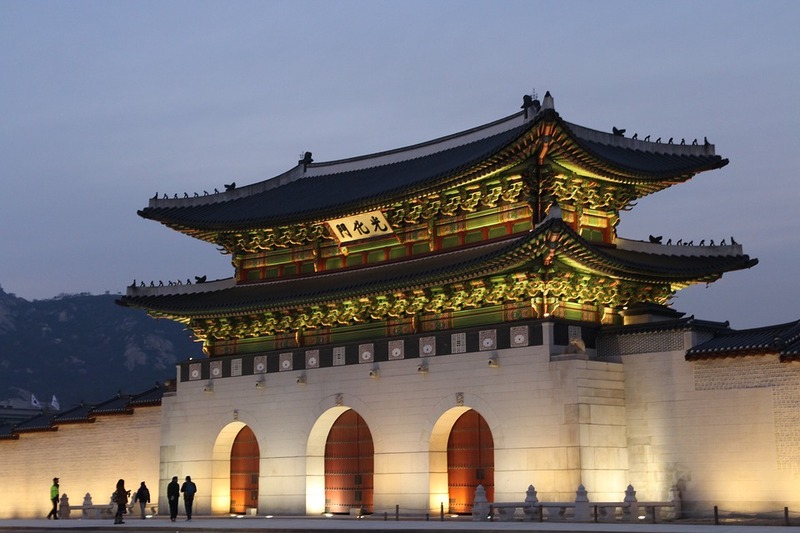 There is a bilateral agreement that allows Canadians to travel and work in Korea for up to 12 months, as long as they are between the ages of 18 and 30. It costs $117 CAD to participate in the program and you must show that you have at least $3,400 CAD in your bank account. Latvia is located in the Baltic region of Northern Europe, on the coast of the Baltic Sea. 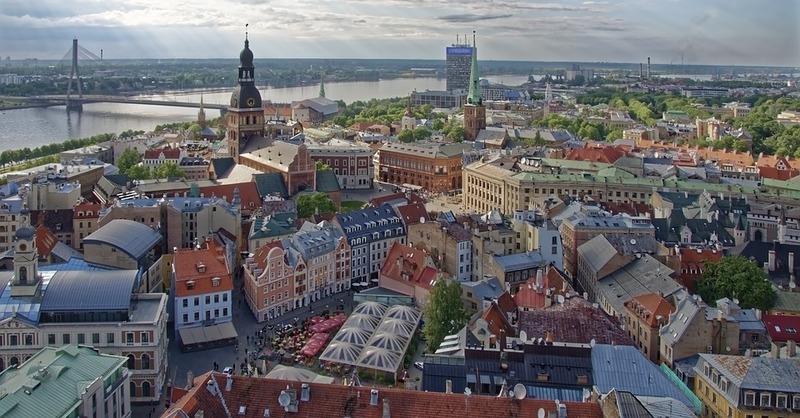 You might not have heard much about Latvia, but it is home to Riga (the beautiful World Heritage Site capital city, the beautiful soft sandy beaches along the coast, Europe’s widest waterfall in Kuldiga and plenty of medival castles and ruins. There are also plenty of nature trails and parks for hiking and exploring. Based on this comparison of living costs in Canada and Latvia, you will save a lot of money living in this cheap country for a year. Located next to Latvia in the Baltic region of Europe, this is a country with a fascinating history – from pagan roots to Catholic devotion. The capital city feels like a small town and offers ornate architecture, a quirky arts community and much more. There are also plenty of beautiful forests where you can wander, explore and pick berries. The Republic of Lithuania and Canada have a bilateral agreement that permits Canadians between the ages of 18 and 35 to travel and work for up to 12 months. A stamp duty of 120 Litas per year must be paid to issue a work permit. Before you leave, you must show that you have 2400 litas in your bank account if you have employment lined up and 4800 litas for you don’t have it pre-arranged. Tired of the cold and snow in Canada? 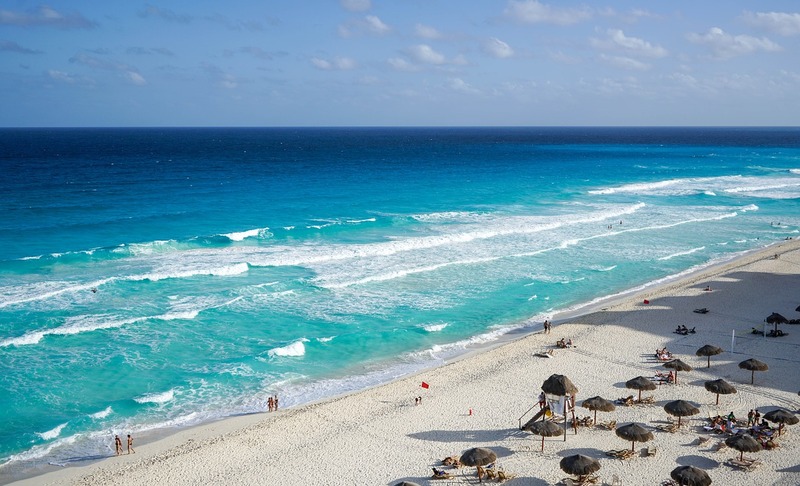 Why not spend some time working and travelling abroad in Mexico? The weather is fantastic, the food is spicy and delicious and you will have plenty of fascinating ancient Mayan ruins to explore. There are working holiday visas for Canadians available in Mexico. You must be between the ages of 18 and 29 and you can travel and work in Mexico for up to 12 months. According to the Mexican Embassy website, you must show that you have an average bank balance of $37,221.50 CAD over the past 12 months. However, I’m pretty sure this is a typo, as it is 10x more than the usual financial requirements for a working holiday visa. So, I’d recommend contacting the Embassy to confirm. 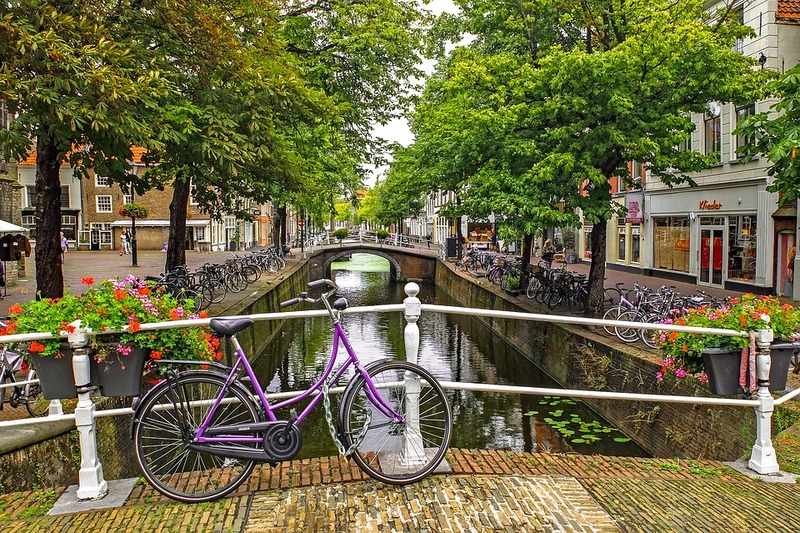 The Netherlands is much more than just the coffee shops and red light district of Amsterdam (although that part is quite fun!). 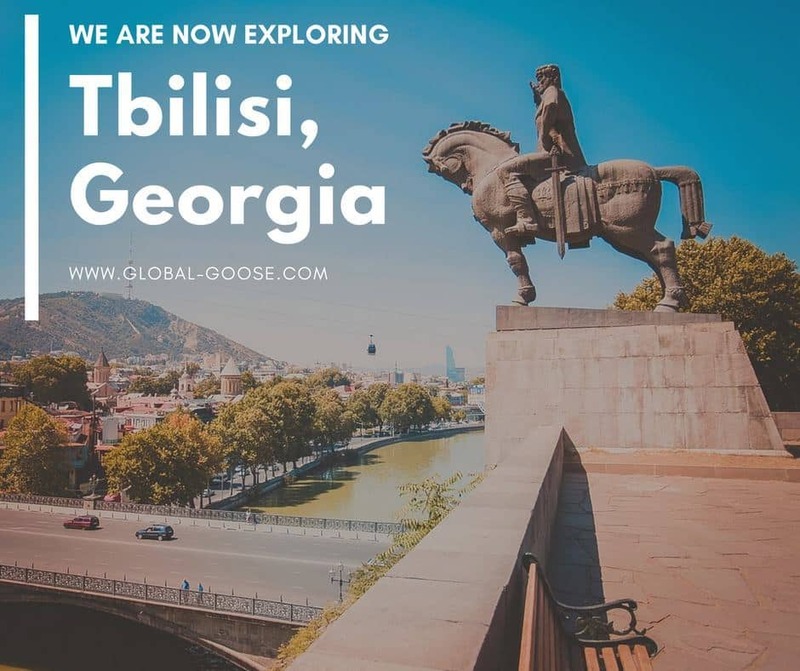 There is the beautiful countryside, excellent art galleries, delicious pastries, bike-friendly streets and the general healthy love for walking and other outdoor pursuits – it’s truly a great place to spend a year abroad. The Kingdom of the Netherlands offers working holiday visas for Canadians between the ages of 18 and 30, allowing them to travel and work for up to 12 months. You may only work for 12 consecutive weeks for the same employer. The application costs 57 Euro and you can submit it online. There is no specific minimum amount of savings required to prove that you have sufficient financial means, but I would recommend having at least a few thousand dollars in the bank. 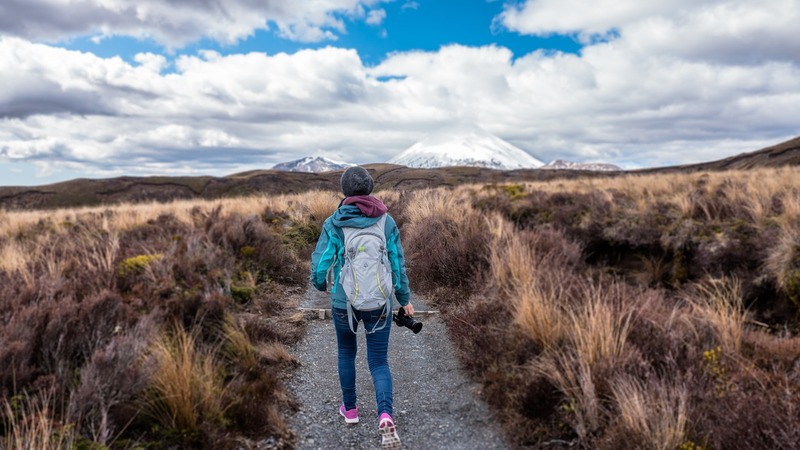 New Zealand offers working holiday visas for Canadians between the ages of 18 and 35, allowing them to work and travel for up to 23 months. 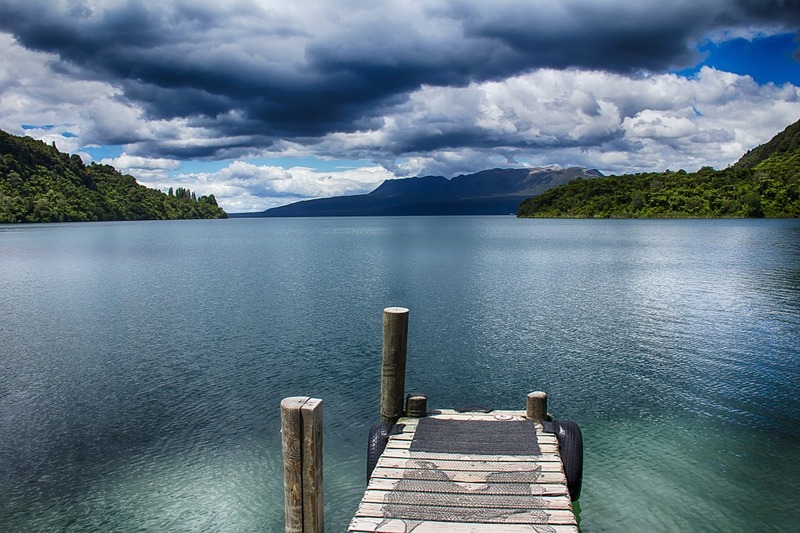 You must show that you have at least $4,200 NZD to support yourself during your stay, in addition to a return ticket or enough funds to purchase one. The fee for processing the application is $245 NZD and 90% of applications are completed within 20 days. Norway is similar to Canada in a lot of ways – it’s vast, cold, sparsely populated, liberal and known for it’s gorgeous and varied scenery. Of course, when you live abroad you will learn that it is very different than Canada in a lot of fascinating ways, such an language, culture and traditions. Oslo is a very fun city with plenty of great museums, fun night-life and festivals and there are also other interesting cities to consider working abroad in, such as Bergen, Alesund and Stavanger. Norway and Canada have an agreement that allows Canadians between the ages of 18-36 to travel and work in Norway for up to 12 months. You must show that you have at least enough money to live on for the first three months of your stay. This can be money in the bank or an official offer of paid work. The amount in your bank account must be equivalent to 10,825 NOK per month (32,475 for the first 3 months.) There is also an application fee of 5,400 NOK. Why not spend some time working abroad in Poland? You will find beautiful forests, medieval architecture, delicious comfort food, cool museums and so much more. Working holiday visas for Canadians are available in Poland, as long as you are between the ages of 18 and 35. The visa allows you to travel and work for up to 12 months and it costs $150 CAD to participate. You must show that you have $31 CAD per day over 90 days in your account. Slovakia is a landlocked country in Central Europe, surrounded by the Ukraine, Poland, Hungary, the Czech Republic and Austria. You probably haven’t heard a lot about it, but I can tell you from experience that Slovakia is a great place to visit! 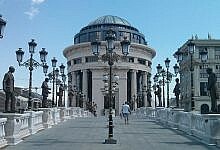 It’s very affordable to travel there and the architecture in Bratislava is gorgeous. It also has plenty of outdoor adventures to enjoy and beautiful landscapes (with 9 national parks covering most of the country!). Also, Slovakia has the highest number of castles and chateaux per capita in the world. There are working holiday visas for Canadians available to Slovakia. 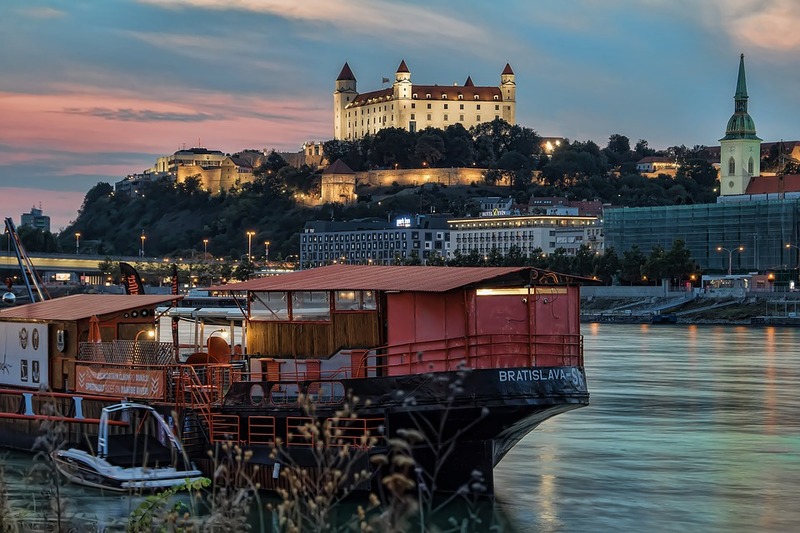 You must be between the ages of 18 and 35 and you will be allowed to travel and work in Slovakia for up to 12 months. It is free to participate in the program and you must show that you have 1785 Euro in your bank account. This tiny Eastern Alpine country in Central Europe has charming cities, interesting museums and amazing opportunities for hiking, skiing, rafting, mountain biking and kayaking in the mountains and the rivers of the Alps. If you love history and the outdoors, you will have a great time! Slovenia and Canada have a bilateral agreement that provides working holiday visas for Canadians between the ages of 18-35. 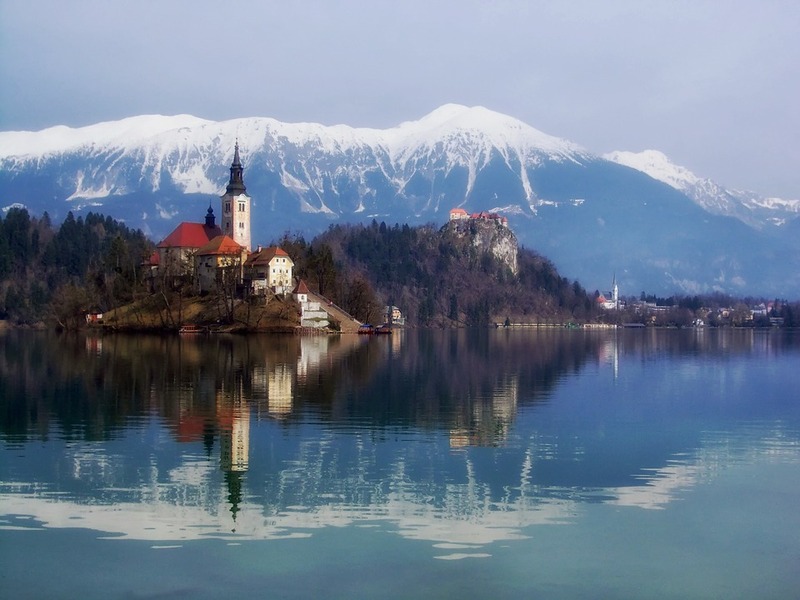 The visa will allow you to travel and work in Slovenia for up to 12 months. It costs $206 CAD to participate in the program and you will need to show that you have a return ticket or sufficient funds to purchase one. Why not say goodbye to Canada for a while and live abroad in Spain? Endless sunshine, gorgeous beaches, tall glasses of sangria, great night-life and afternoon siestas are calling you. 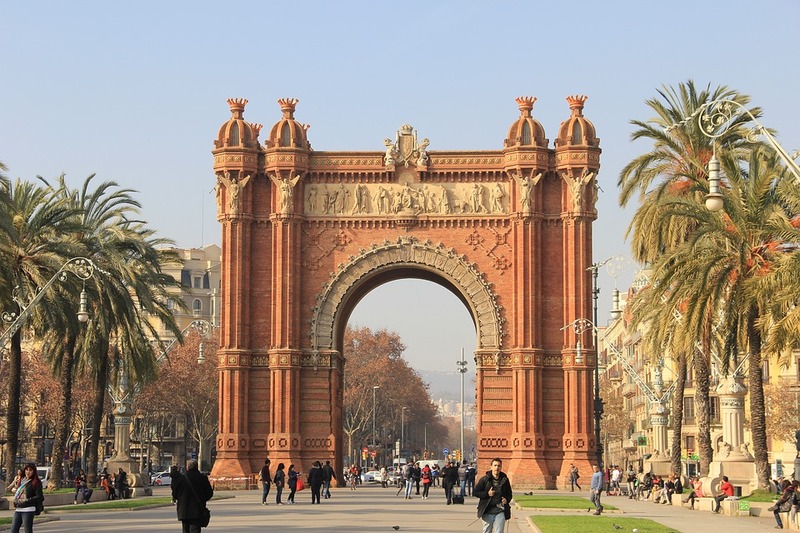 There are working holiday visas for Canadians available in Spain, allowing those between the ages of 18-35 to travel and work in Spain for up to 12 months. The fee to apply is $150 CAD and you must hold $2,580 CAD in your bank account prior to departure. Sweden is another beautiful, liberal, peaceful, cold northern country known for its stunningly beautiful landscapes, somewhat like Canada. Of course, once you live abroad in Sweden you’ll see the many interesting differences in tradition and culture. 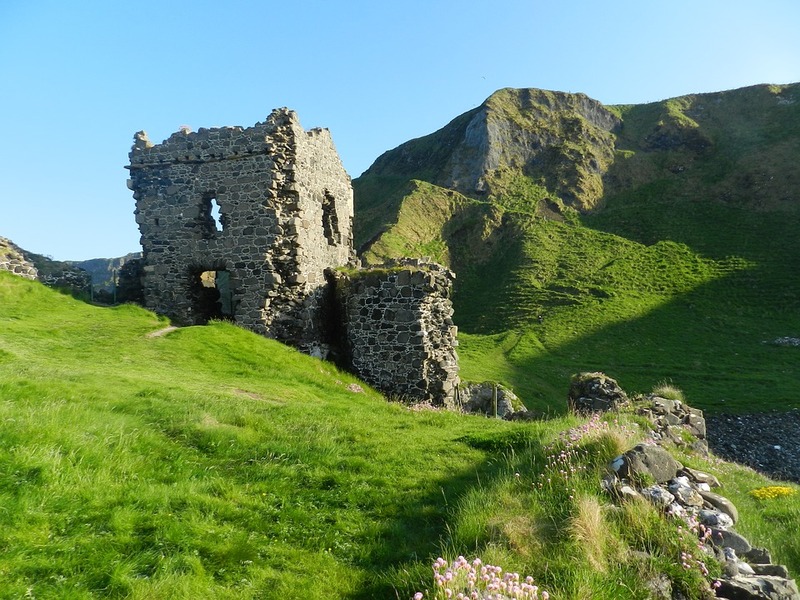 If you visit during the summer solstice, you will get to have the amazing experience of 24 hours of daylight (and plenty of parties and festivals). 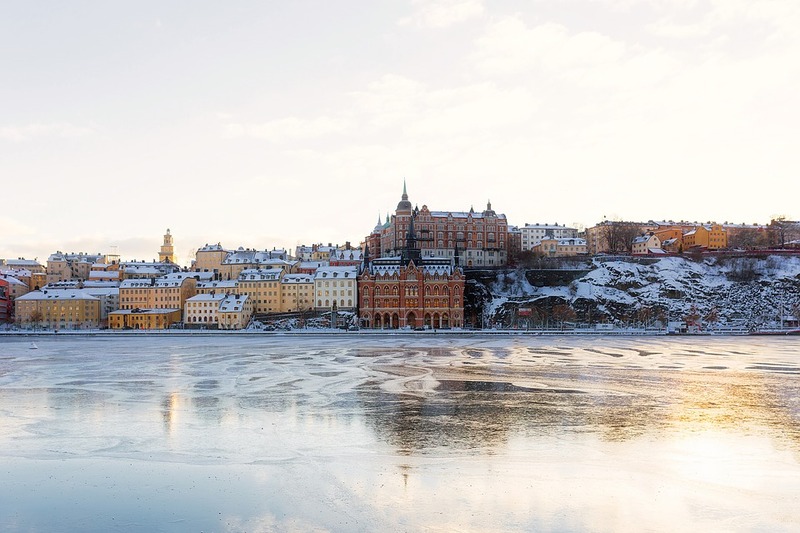 Sweden and Canada have a bilateral arrangement and Canadians between the ages of 18-30 are allowed to travel and work in Sweden for up to 12 months. It costs $155 to participate and you must have at least SEK 15,000 to support yourself initially when you arrive in Sweden. 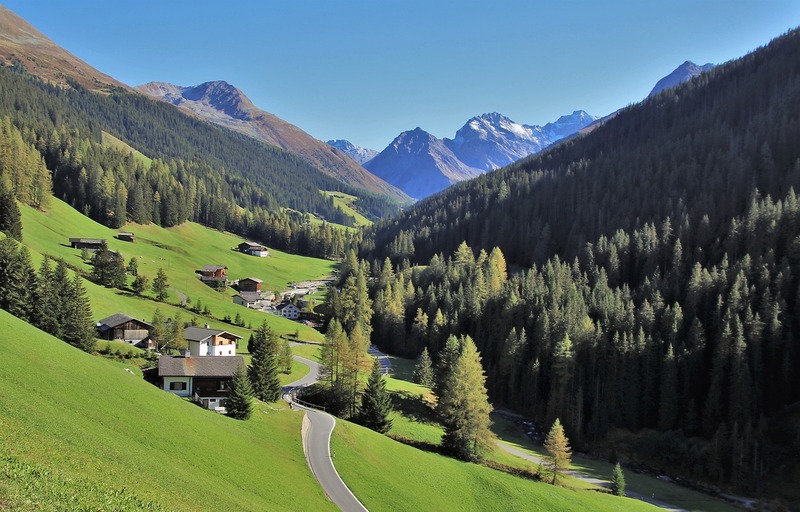 Switzerland is a beautiful country in Central Europe, known for its stunning Alps, delicious chocolates, beautiful vineyards and medieval castles. It’s a great place to spend a year working abroad and travelling. Switzerland and Canada have a bilateral agreement that allows Canadians between the ages of 18 and 35 to travel and work in Switzerland for up to 18 months. You must have a secondary education and have completed a two year training program or have studied at a post-secondary institution. Your employment in Switzerland must be in the field of studies that you have training in. 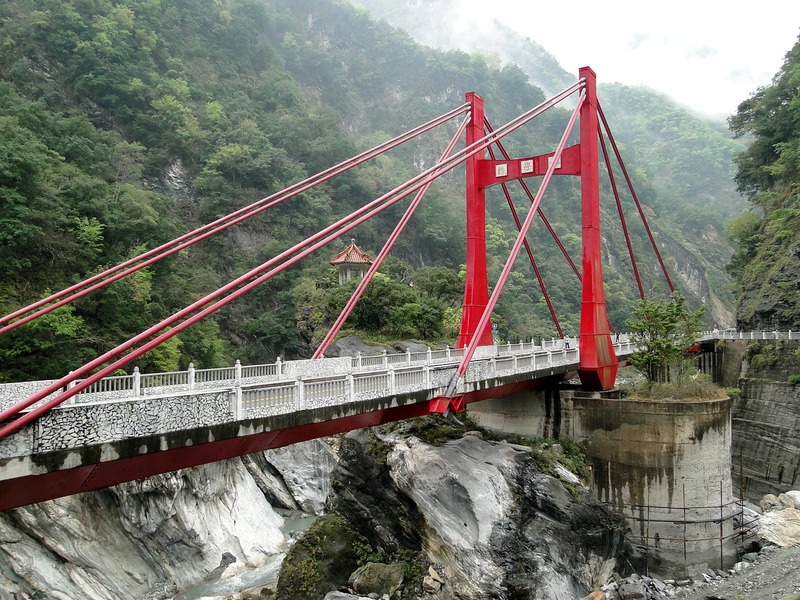 Taiwan is a very densely populated island nation that is located off the South-eastern coast of mainland China. 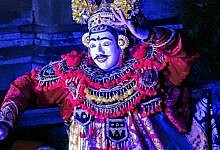 Its crowded cities offer great dining, culture and nightlife. Once you get outside the cities, you’ll find beautiful steep mountains and lush forests. You will also find beautiful beaches and national parks with hot springs. There are working holiday visas for Canadians available in Taiwan. 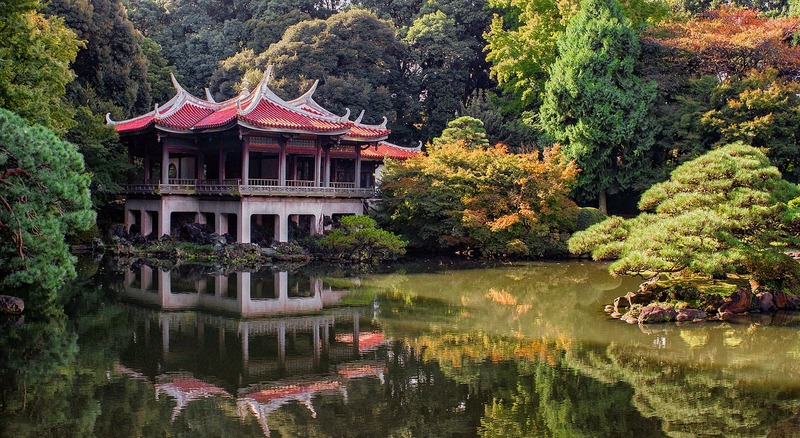 These visas will allow you to work and travel in Taiwan for up to 12 months. Participants must be between the ages of 18 and 35. It costs $133 CAD to participate and you must show that you have $2,500 CAD in your bank account prior to departure. There are so many reasons why a working holiday in Ukraine would be a fantastic experience. Many of the cities were founded nearly 900 years ago. They are filled with 9th to 11th century architecture, making it a fascinating spot for history lovers. There are also plenty of ruins, museums and archaeological wonders to see. You can enjoy diving in Crimea, mountaineering in the Carpathians or hiking in one of the 33 national parks. 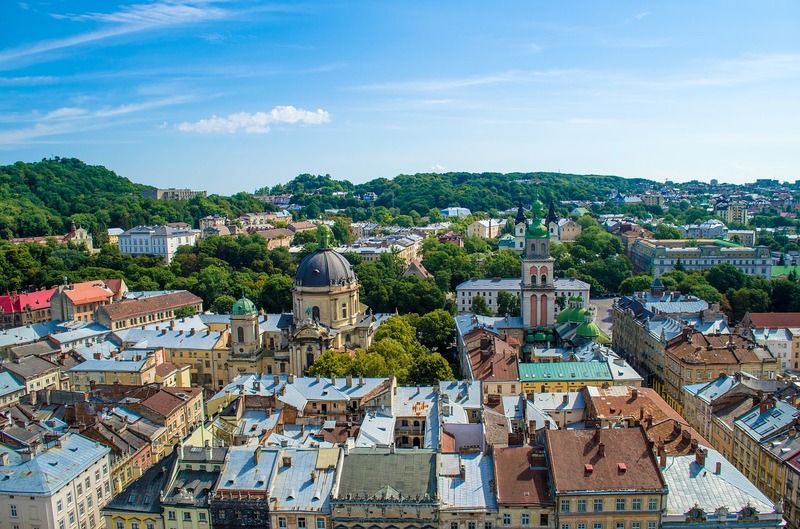 Canadians between the ages of 18 and 35 can travel and work in the Ukraine for up to 12 months. 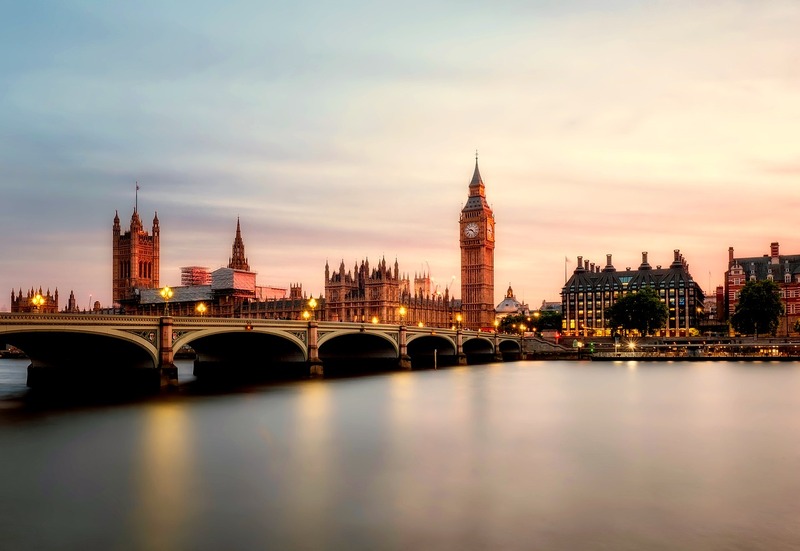 Last but not least – the UK is a superb choice for Canadians on a working holiday visa. You won’t have to worry about the language barrier (except maybe when deciphering some of the stronger accents. Plus, there are many jobs available. Whether you want to work in the heart of London, exciting Manchester, artsy Liverpool, historic Edinburgh, the wilds of Wales or anywhere else, there are so many great experiences to be had in the UK. There is a bilateral agreement between the UK and Canada that allows Canadians between the ages of 18 and 30 to travel and work in the UK for up to 24 months. The fee to participate is $315 and you must prove that you have £1,890 in your account before you depart. Where Will You Have Your Working Abroad Adventure? Whew, that was a long list! There are so many possibilities out there for Canadians who want to work abroad and travel! With so many working holiday visas for Canadians, you could spend your entire 20s working your way around the world. So where are you dreaming of having your working holiday visa adventure? 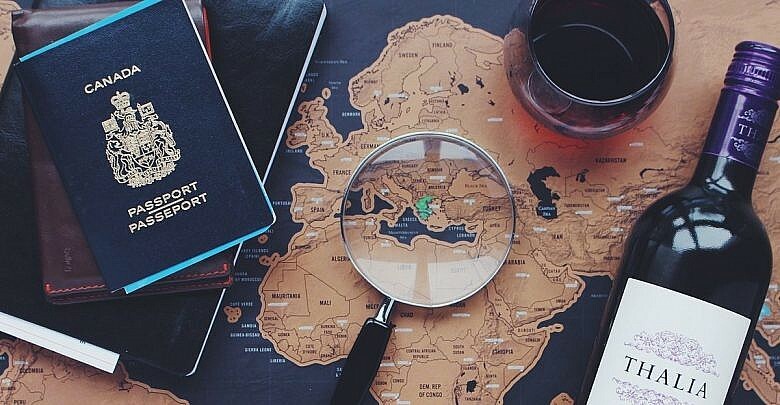 Share your travel plans with us in the comments! If you want to do a work visa in one of these countries, do you have to come strait from Canada, or could you potentially visit a few countries and land in, say, Ireland and work there for a year? Also, once you’ve completed one of these working visas, can you segway strait into another work period in another country for 6 months to a year, or do you have to touch home base back in Canada again? I was under the impression (through my own research the last couple years) that many of these countries listed as available to 18-35 are actually only available until 30. Hopefully they have all just recently changed, that would just make my year! I have done 2 years in Australia and 1 year in New Zealand, plus many side trips all over, and it was the best experience of my life. Take advantage of this amazing opportunity folks! The ages were referenced on the Government of Canada website just this past week, so as far as I know this is the most updated info. Can I work in europe just for a month without getting a work permission? or Do i need one, even if its only for a month? What about a person likeme who is 37 years old can I work abroad. You’re not alone! There have been many people commenting on this post and messaging us who are over the age of 30/35 and have the same question as you. Because of this, I have decided that the next guide I write will be a list of working abroad opportunities that are available to all ages. If you are interested, click “Like” on our Facebook page and it will show up in your feed when I publish it. Can’t wait to read your next post for the 35+ crowd!! What’s the link To your Facebook page I would like to follow and “like” it to keep up to date. I’m 22 yrs old and had no clue this existed. Thanks for the article! There are a lot of us seniors who can’t afford to travel overseas, but who have marketable skills. This wuld be great for us. Hi Kelly! Thanks for all this great info! I was able to find your Facebook page! One more question! Is there any sort of travel opportunities for Canadians to places such as Florida ? I know it’s not very far but I’m really young and kind of nervous to travel by myself to a country far away. Plus I love the weather and atmosphere in Florida ! 🙂 please let me know. Please let us know where over 35 can work.. Really interested and keen to see some more places!! Hey! I also did 1.5 years in Australia. I am thinking of doing a trip to new zealand. What kind of work did you do over there? Thanks for your question. I think the answer depends on the particular working holiday visa in question so if I were you I would check with each one, because they are all different. thanks for the link love on here! I am thinking of writing a similar post about working abroad opportunities for Americans, so stay tuned for that! hey! im from richmond, virginia 🙂 but have been to roanoke MANY times for sports events growing up! i really liked roanoke! pretty cool yall spent some time there for a while. you definitely should do this for americans too. most people dont even know such options exist. the only working holiday visas i know about are through NZ and australia (i assume we dont have the same programs because we have 315 million people…and most countries involved dont have quite that many!) 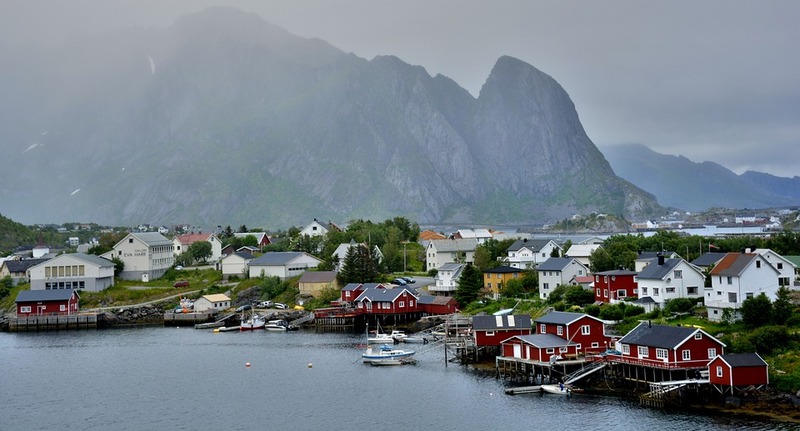 BUT….we have many other options ranging from peace corps, to fullbright programs to even in norway, they offer a ‘learn the norwegian language visa if you have a bachelor’s degree’. the only bad thing about that visa is you must have 20,000 USD in a bank account. hahah. i think that visa is mostly for people in a relationship w/ a norwegian (which is how i initially came over here). but, nevertheless, there are many options and people just dont know about any of them! Do you have to secure a job before you go and provide proof of that or can you just look for work when you arrive? The working holiday visas usually mean you don’t need to provide proof of employment, just sufficient funds in case you can’t find a job. You can do any job while there. You can make good money in some places like Australia and New Zealand, but others like Mexico or Ukraine, there’s just not much to be made unless you’re working three or four jobs at once. Thank you so much for taking the time to put all of this information together! You are definitely saving a lot of people so much research time! Interesting really, that in this day and age these types of programs age discriminate. As a person on the verge of retirement, maybe I would like to work abroad and travel as in retirement. Working Holiday Programs are designed for young people who want to live and work abroad for a year before the age of 30/35. However, I agree with you that long term travel and working abroad is something that can be enjoyed by people of all ages. Once you are retired from your job and the kids have flown the nest, it’s a great time to get out there and enjoy the world! Although Youth Working Holiday Visas may not be an option for you, there are many opportunities for working abroad and travelling when you are 50+. Here are a couple of links I found that you might find interesting. I’ve just put together a guide to travel opportunities for those over the age of 30. Take a look! Awesome article – detailed and helpful! I’m a landed immigrant in Canada but still have a SIN number. Am I able to qualify? or is just for Canadian citizens? You can only apply for these working holiday visas if you have a Canadian passport. Is that a typo in the Costa Rica section or do I really need “$2,5000” in my bank account? Well spotted! I got a little over excited with the zeros haha. Thanks for letting me know… I have fixed it. I’m turning 37 this year and would like to work abroad next winter. Do you have any info for those just a bit too old? Although you are just out of the age range for a working holiday visa, that doesn’t meant that you can’t experience long term travel. There are plenty of other opportunities for working abroad out there. What particular destinations did you have in mind? It’s a shame this is only for young people! I would be very interested but now I’m too old. Wish I would have known 20 years ago! Hope others can take advantage of your story. Although the working holiday visas are only for those under 30/35, there are still many possibilities for long term travel and working abroad if you are older than that. Amazing article. Definitely gonna look into it more. I actually had no idea working holiday visas were available so widely to Canadians. Definitely a great way to travel, gain some experience and insight, and (if you’re lucky) save a bit of money! Great and helpful article, thanks for being so thorough with each country’s requirements and websites! We have been to Eastern Canada and we love it! In 2011 we took a three month road trip across Canada, visiting every province. We loved Quebec and we would certainly go back there to explore more of the fascinating culture. Oops I suppose I should have said Atlantic Canada! I am from New Brunswick but am currently living in Ottawa, I hope you enjoyed your time in the Maritimes! Cool! We enjoyed both New Brunswick and Ottawa as well. We got to New Brunswick just as winter started to hit and we saw our first snow of the year in Moncton. The UK working holiday visa is allowable up to 24 months. Hi Kelly, great article, I have a 20 yr old son who I am encouraging to give this a try! On another note, we older folks (44) are looking at a working holiday with the younger kids. We’re interested in a western European locale. I have seen you reply to a couple of folks that there are other opportunities for long term travel, and I would love to hear more. I have certainly been looking into it, but welcome any advice! That’s exciting! Let your son know that if he has any questions about working abroad, he’s welcome to contact us. As for your working abroad and travelling with your kids, there are plenty of options available to you. Have you ever heard of WOOFF? It stands for Willing Workers on Organic Farms and the way it works is that you volunteer on a farm in exchange for food and accommodation. The tasks you end up doing can be anything from picking fruit to milking goats to feeding chickens or chopping wood – it depends on the farm but it is usually only around 4 hours per day. It’s not paid work, but you will have no expenses so its a great way to travel abroad long term on a very small budget and get to experience the rural lifestyle of the country you are visiting and get to know a local family. There are tons of WOOFFING opportunities around Europe and other parts of the world as well (I’ve done it in New Zealand). As far as I know there are no age limits for WOOFFers. What if someone is older than the required age. I am 30 and I want to work in UK. Any idea how that can be done? Just reading your article and noticed some incorrect information…. for the UK Youth Mobility Scheme you can work the entire 24 months of your stay (not just 12 months as stated in your article). I’m currently here right now on the scheme and I’m able to work the entire time. Thanks for the update! I’ve changed it. It is a darned shame that older people cannot enjoy this. It is perfect for mid life crisis or semi retirement or a chance to use an easily transferable trade (like writing, photography) in a very cool place. Just saying….youth should not be wasted only on the young!! Willing Workers on Organic Farms (WWOOF) is a great option for inexpensive and fun travel. We were WOOF hosts and it is for travels for all ages. In exchange for a few hours work, travellers get free room and board and so much more. Why does this program discriminate against people over 35? Actually the intent is not discrimination. its taken for granted that by 35 yrs, people should be in their mid career, not holidaying and working continiously. Also, I think people cant apply if they are married or with kids. Very similar reason, in that case, the real intent isnt to travel and enjoy but find work. If you are older than 35, and looking to do something similar to this check out International Volunteer HQ. Its not the same at all, but affords unique travel and accommodation while volunteering in a country. Can you be married and still qualify for a visa? I’m getting married this year and I think this would be a really awesome adventure for us. Is there any working holidays for people over 35. I’m sure some more mature people would love to do this too! Take a sabbatical for a year and off you go! Have you written that list of working abroad opportunities for those over 35 years of age? I just found this website and I want to make I didn’t miss it. I would also have to pay for my own flight there (and back) and a living space while I’m there? How would I go about finding a place to stay? Yes, you are responsible for paying for your own flight and your own living expenses. That is the main reason why many of the programs want to see that you have a certain amount of money in your bank account, they want to know that you will be able to take care of yourself and pay for your first month or two of rent and food until you find a job. As for finding a place to stay, it will depend on the country and what your travel plans are. 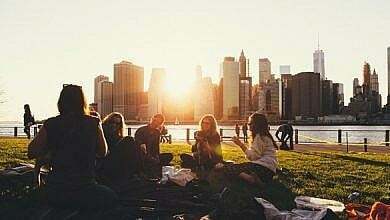 If you know that you want to settle in a particular city for most of your time there, you will probably want to rent a house-share or apartment. Just google “(country name) apartment rentals” and you should find the appropriate websites. However, if you aren’t sure which part of the country you want to settle in, you might want to hold off on renting an apartment. You could live cheaply in a hostel for a week or two while you get settled and find a job, then move to an apartment later when you know where you will be working. – worked for accommodation as a tour guide at an old historic prison in Napier and slept in the prison cells! Also, sometimes you will find jobs that offer accommodation, such as if you work in a hotel or hostel – so in that case your place to stay will be taken care of! Croatia, Greece, Italy, Spain, France! Does it ever worry you or anyone who has travelled abroad in finding a place to live? Would you look for a place before you set out to a country, what do you recommend when it comes to that as well as looking for a job? Are there any sites to help with looking for jobs in these different countries for Canadians? Thanks a lot for this post, it was extremely helpful! I am turning 21 soon and I have travelled in the past, but soon I will be looking to head out into the world to journey what the world has to offer! Thanks very much, glad you enjoyed the post. “As for finding a place to stay, it will depend on the country and what your travel plans are. If you know that you want to settle in a particular city for most of your time there, you will probably want to rent a house-share or apartment. Just google “(country name) apartment rentals” and you should find the appropriate websites. When it comes to looking for jobs, I have placed a link under each country to a website that will be helpful in finding jobs. Of course, there will be multiple job websites for each country, so you can find more info in a Google search that is more specific. Do you know yet which country you are considering working abroad in? I just completed a working holiday to Australia and the UK, it was amazing!!! I am 23 though, so I guess im young enough to get working visa’s everywhere i go. I went through a company called Global work and travel, they were amazing! apparently they specialise in this kinda stuff, as well as like volunteer stuff overseas. If your stuck planning, they were heaps of help! Pingback: Of Last Week | Writer at large. Thats great, but I am 36 and it would actually be a great time in my life to travel now. Are there some countries where Visa’s allow ppl older than 35? ?… ( 35 not behing old…!) Thank you! That’s great, but I am 36 and it would actually be a great time in my life to travel now. Are there some countries where Visa’s allow ppl older than 35? ?… ( 35 not behing old…!) Thank you! Take a look and let me know in the comments if you have any questions. unfortunately, they cant help you. you have to be canadian to apply. The working holiday visa for Canadians page doesn’t seem to work any longer on the Belgian website. I read somewhere that the agreement was signed but not yet finalized… Does anyone know when it might be finalized? Thank you so much for this post – I constantly come back to it. I’m wondering – are you able to apply for a new visa for another country while you’re still in country #1? Example: Get a working holiday visa for the UK and before your time is up there, apply for one in Ireland? (saves you a flight back and forth to Canada, hypothetically). Thanks for your message, glad you found this blog helpful! As for your question, I’m not sure about the specific requirements as I’m sure they are different for each visa. However, I can tell you that when I applied for the UK Working Holiday visa I was still in New Zealand on a Working Holiday visa there. I didn’t have to fly back to Canada in between, I just had to mail in my passport. I then flew straight from New Zealand to the UK. Wow! What a great resource! Thank you so much for posting this. I think this is the International Experience Canada program? You can also get work permits for co-op and young professional categories (in some countries). Has anyone every applied through this program? What was your expereince? What about PPL over 30? One thing to update tho… the Spanish government is NOT accepting working holiday Visas under any circumstance. I lived there last year and can confirm that the government isn’t accepting applications for this program from any country due to the economic situation. Hi I have a question. How do you find a job in any of these countries if you don’t speak their language? The only thing I can think of would be to teach English. How do i find a place to live in the UK? also if i were to apply for the Greece one do i have to speak spanish? Why would you have to speak Spanish to work abroad in Greece? I just completed my Working Holiday Visa in Australia where I was working and living for 8 months. I’m looking to work in another country, preferably in Europe. However, my funds may not be at the required amount by the time I wish to depart for most of these countries. From my experience, especially with Australia and traveling through Central America, customs officials do not check your bank statements to see how much money you have before entering the country. Just wondering if the author has had any experience with anyone actually checking how much money is in their bank account before being granted a visa/entering a country. Sounds amazing, Sage! Hope you have a fantastic time! I am a mother of one little 8 year old boy. I am looking into a working visa/working holiday visa or volunteer work in which myself and little boy can see the world. I am a nurse and have many skills that could be utilized. I would like something that he could participate in as well. I was thinking of Costa Rica volunteering with the sloths and monkeys or Thailand with the elephants. While searching your site I noticed an opportunity for Equador and Galapagos. Or what about catamarans in the Caribbean. Or anywhere with Habitat for Humanity. The big thing with me is something that an 8 year old can gain from. Any suggestions/information would be a help. There are a lot of comments on here so I’m sorry if this has already been asked! It’s amazing that we have the opportunity to work in so many different countries, however, which of these are actually realistic? I would be looking for work and I believe a lot of these countries would not be inclined to hire foreign workers (Greece for example, due to recession). I know Aus & NZ are usually good for finding jobs, however do you know of any others or what to specifically stay away from? I’m looking for hotel work, but open to anything. Hi Stephanie, It really depends on your experience, skills, work ethic, etc. However, the fact that these schemes exist and people use them means that there are employers who are open to hiring foreign workers. You probably won’t get a high up job in your chosen field, as employers will know that you are only going to be around for a year. However, temporary jobs such as retail, hospitality, farm work, etc. are usually open to hiring workers who are there on a visa – as they usually only hire for the season anyway. You’re welcome, Oliver! I’m glad you found it helpful! Fantastic article for anyone looking to move abroad and work and experience a country abroad. i know information like this typically hasnt been that available for most countries that have working holiday visa schemes. We check this blog post often! It is a great list of places Canadians can move abroad! We lived in the United Kingdom for two years and are looking into another visa! Living abroad is so much fun. Hi Kelly , do you have a list of the countries that are more likely to have work. Like a pourcentage of chance to find some or something like that? That would be difficult to determine as it depends so much on your skills, your experience, your hireability and the industry you are looking for work in. “This is the perfect site for anyone who wants to understand this topic. You understand a whole lot about visa process. What a thorough post – great job! As Canadians, we are so fortunate with all of the options that we have to work and travel abroad and you really brought that to light with your post. In fact, just recently Australia changed their Working Holiday guidelines and Canadians now have the option to stay for up to three years! 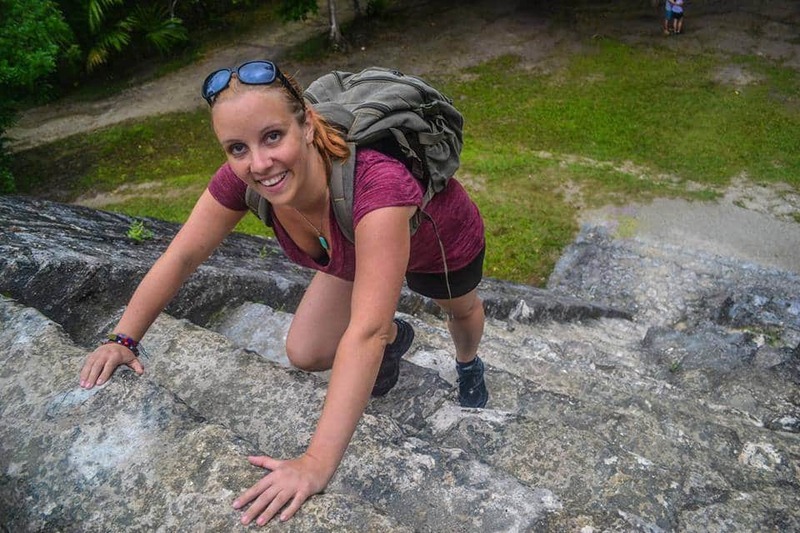 For a long-term travel goal, working holiday visa is the right choice. It is available for Canadians that gives them the opportunity to work abroad and start planning for the adventure. United_Kingdom The process of getting a Russian visa is extremely bureaucratic. One can process their visa at the consulate of the Russian Embassy in the United States as well as at the Russian Visa Center in the USA.